Nexera Queen Size Headboard 225903 features lateral storage spaces on each side, ideal to keep your favorite books and magazines handy. This headboard matches different Nexera queen size beds and is not compatible with metal bed frames. This 3 in 1 floating headboard with 2 nightstands maximizes your available floor space with itselevated,off the floor design. With a focus on simplicity and functional storage, this unit creates a modern and sleek bedroom. Two built-in nightstands extend from the headboard featuring drawers for out-of-site storage and a surface for your reading lamp and favorite books. To maintain its clean lines, both nightstands feature hidden wire management for lamp cords, alarm clock cords or phone chargers. Installing the Floating Headboardat any height is simple, thanks to its innovative hanging rail mounting system. Because of its adjustable height, this system can accommodate any bed and mattress combination. It is the perfect companion to Prepac's Queen platform storage beds, allowing full access to all storage drawers. With its clean and simple design, the Prepac Flat Panel Headboard adds elegance to your bedroom. This headboard features softened edges and sleek lines for a stylish finish. Predrilled holes allow the headboard to easily connect to metal bedframes. Match this headboard with Prepac's 4-Post Platform bed to complete your bedroom dicor. Ships Ready to Assemble and includes an instruction booklet for easy assembly. 5-year manufacturer's limited warranty on parts. 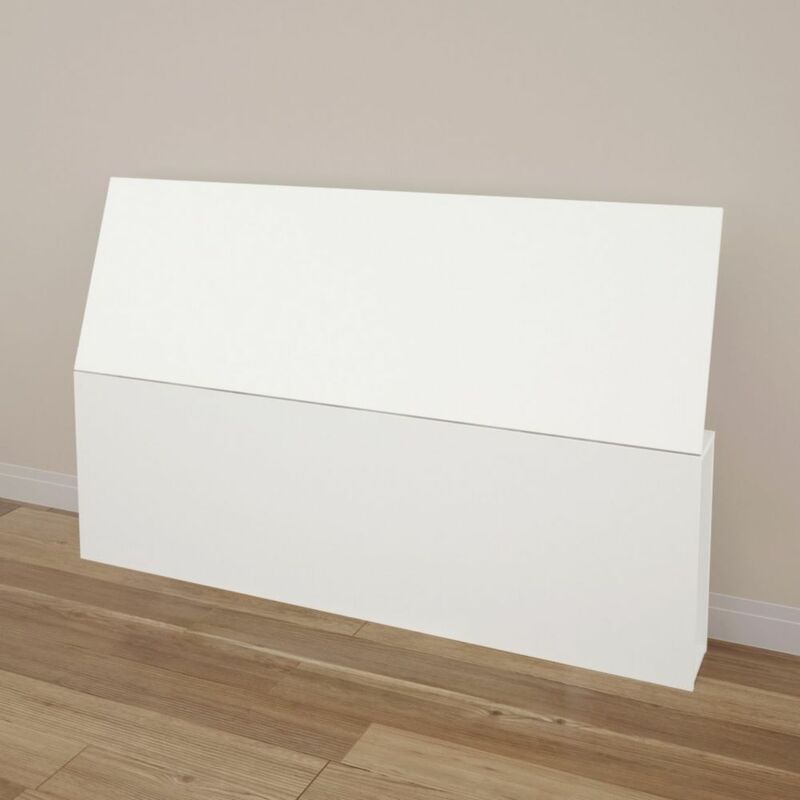 Gain valuable storage space with the Twin Bookcase Headboard. Ideal for smaller bedrooms, this headboards two compartments offer more than enough room for your bedside necessities, whether an alarm clock or a teddy bear. With its simple design and everyday practicality, all this headboard needs is a bed. This free-standing product is designed to be paired with any twin bed including our Twin Mates Platform Storage Bed. Beautiful and comfortable describe this notched headboard. Featured in soft velvet upholstery and constructed with plush foam padding, this headboard is a signature piece to any room. Attaches to any standard bed frame. Easy assembly required. Manufactured in Illinois. Every Skyline Furniture piece is custom-made to order. 225903 Queen Size headboard, White Nexera Queen Size Headboard 225903 features lateral storage spaces on each side, ideal to keep your favorite books and magazines handy. This headboard matches different Nexera queen size beds and is not compatible with metal bed frames.